Sherry Zimmer, a citizen of the United States of America who is currently residing in the Philippines, recently addressed engineering students from the University of the Philippines whom she says were told by their dean to attend and support a protest against President Rodrigo Duterte. 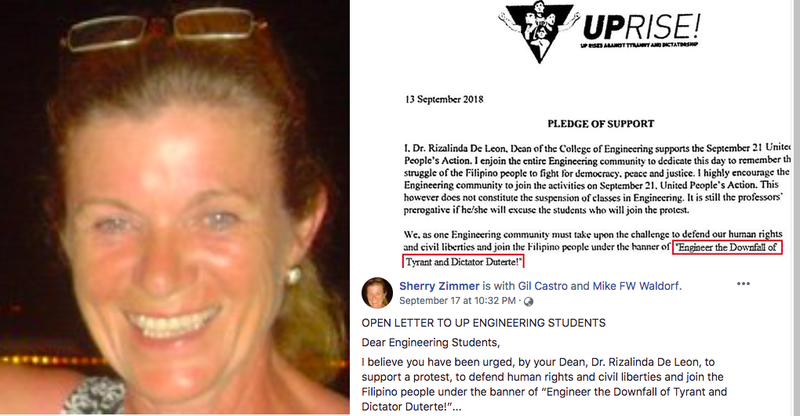 Zimmer said that the School of Engineering Dean Dr. Rizalinda De Leon told her students to attend a protest intended to defend human rights and civil liberties, named “Engineer the Downfall of Tyrant and Dictator Duterte”. In regards to this, Zimmer said that they should not attend the protest, but do other things. 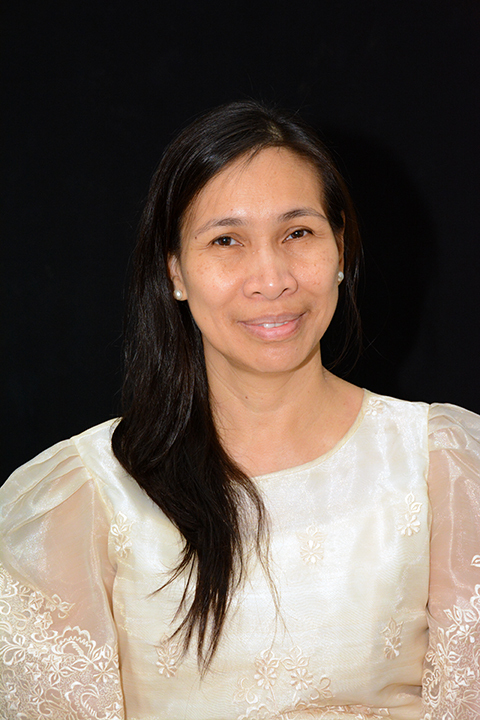 She suggested the students learn more about the “real history of the Philippines”, and the “true meaning of the word dictator”. She adds that the actions of Duterte may be seen as harsh to some people, but she pushes that “a good parent often appears as a dictator”, as she says Duterte is a “tatay” to the Filipino people. In line with this, Zimmer shares that she sees the actions of the Philippine president the same with that of her own mother. She shares some of the rules her mother imposed that she feels is the same with that of President Duterte’s. 3. Everyone work together to get a task finished. 7. Never start a fight but never back down from one. 9. If you see a problem – fix it. 11. Don’t join in rallies without prior knowledge. She adds that these students should just redirect their focus to their studies instead, and do other things that is sure to help the Philippines. I feel sure you are all bright students to be able to attend, such a prestigious university. May I politely suggest that instead of attending this protest, you do a few other things instead. Learn the real history of the Philippines, including the political power of the Catholic church, and not what the prior administrations have led you to believe. Learn what the true meaning of the word dictator is. Words are powerful and I would like to explain where the word comes from and who first used it. It is an English word based on Latin, the language of the Romans - The Latin root word ‘dict’ and its variant ‘dic’ both mean ‘say.’ In ancient Rome, it was the word to describe a chief magistrate with absolute power, appointed in an emergency. 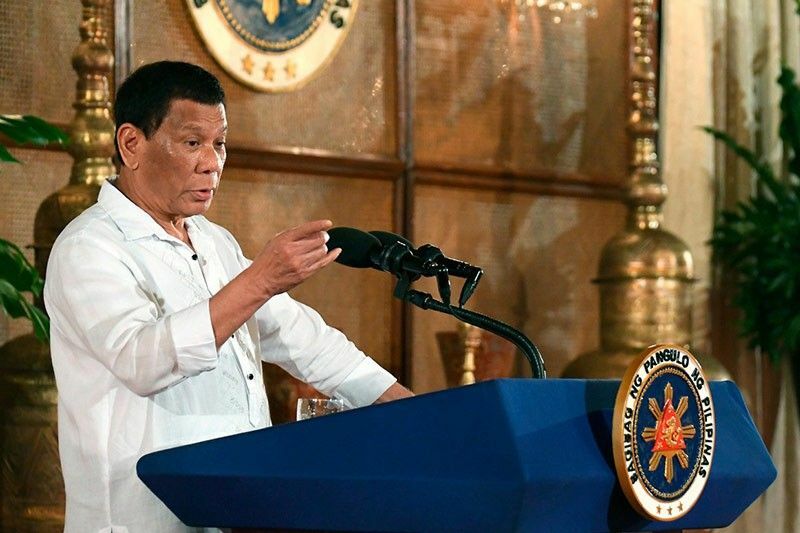 In 2016, over 16 million Filipinos decided to cast their vote for President Duterte because there was an emergency – too many adDICTts - people who are addicted to either street drugs, power or money. A good parent often appears as a Dictator – my Mother was a Dictator. I believe that, at this time, President Duterte has to act the part of Dictator, just like my Mother. He has taken on the job as ‘Tatay’ over 104 million people. It can’t all be done in 2 years and he has to do what he believes, is best for his ‘children’ and the millions that will be born during his Presidency. These were some of my Mother’s rules which had to be obeyed or suffer the consequences and some of them sound rather like President Duterte’s. Because you are obviously bright engineering students, with a passion to improve the Philippines, I would like to suggest that you focus on your studies and come up with solutions to the flooding problem, recycling wastes to fuel, conversion of plastics to energy, creative and cheap way of extracting and processing of deuterium and other useful engineering creativities rather than engaging in politics. As a final thought, have you wondered why Dean De Leon would put out her first letter and then retract it? She should never have encouraged her students to go to the streets just to push her political agenda - in fact, she broke Rule #7. If you do attend the rally, then please don’t break Rule #8 because we, the supporters of President Duterte, will be watching.